Orlando Man Shot, Robbed Outside Windsor Cove Apartments; Can Victim Seek Justice, Compensation? Could this Orlando apartment shooting have been prevented and are justice and compensation available to the victim? A man was shot during an apparent “robbery attempt…at the Windsor Cove apartments off Mercy Drive” Tuesday morning, September 18, 2018, according to News 6. The victim’s identity and current condition have not been released. The Windsor Cove complex was the location of a fatal shooting investigation in July 2018, per Orlando Sentinel reports. 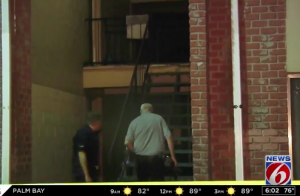 What additional security measures, such as gated-entry, bright lighting, fencing, surveillance cameras, and security patrols, were implemented by the apartment complex owner following media reports of prior violence on property?